The newest addition to the nation’s Air Force fleet will be welcomed Friday at Altus Air Force base. 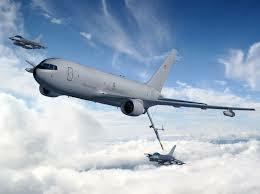 Crews will learn to fly the KC-46A Pegasus at the air base. A welcoming ceremony will be held at 4:30 p.m. and among the dignitaries to be on hand is Oklahoma U.S. Sen. Jim Inhofe. 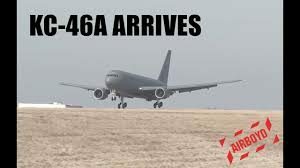 Reserve Citizen Airmen of the 730th Air Mobility Training Squadron will join the 97th Air Mobility Wing in accepting the new KC-46A Pegasus during the delivery ceremony. The school house, is formally known as the Combat Mobility and Expeditionary Training Center of Excellence, where more than 2,000 airlift and aerial refueling aircrew members train annually. The 730th AMTS, which falls under Air Force Reserve Command’s 507th Air Refueling Wing, at Tinker AFB, Oklahoma is an associate unit that merges with active duty Airmen in the 97th AMW to accomplish aircrew training. The KC-46A provides improved capabilities over older Air Force air refueling aircraft to include boom and drogue refueling on the same sortie, a refueling capability of more than 212,000 pounds of fuel and palletized cargo up to 65,000 pounds depending on fuel storage configuration. The KC-46 provides worldwide navigation, communication and airlift capability on the main deck and can support a mixed load of passengers, aeromedical evacuation crews and cargo. In addition to KC-46 training at Altus AFB, Tinker AFB near Oklahoma City, Oklahoma will serve as the KC-46A Pegasus maintenance depot. The Oklahoma Air Logistic Complex will provide maintenance, repair and overhaul operations for the KC-46A. 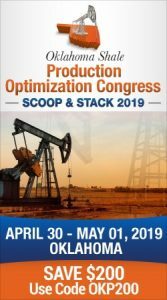 The new maintenance operation brings with it a 158-acre facility with multiple hangars and 1,300 estimated jobs to Oklahoma.